How to Prepare for a Behavior Based Interview? Imagine you are just out of college and on the lookout for a job. The job-hunt definitely is a very tiring and complicated process. Interviews are an essential part of a job-hunt, by means of which the prospective employers assess the qualifications and aptitude of the applicant or candidate to see if they are a good fit for the job. Hence, one needs to be very smart and efficient to get the job, in place of the other applicants. The interviews can be of different kinds. 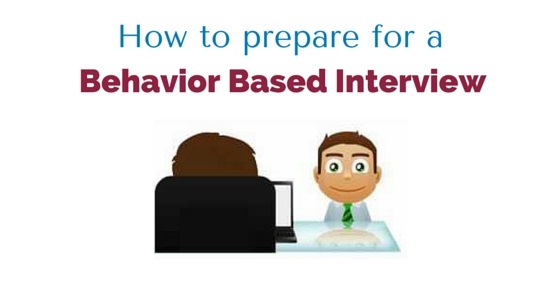 This article goes on to explain some tips on how to prepare for a behavior based interview. What is Behavior Based Interview? In a behavior based interview, the candidate will have to explain ones’s past conduct or activities, so that the interviewer can evaluate if the person is fit for the job profile. To look at an example, the recruiter could ask the applicant to “talk about the experience when one dealt with difficulties in the project” or of “situation when one exhibited leadership qualities”. The answer given by the applicant is expected to be an indicator of the person’s professional behavior. The behavioral interview is also called as ‘competency based interview’. What makes it distinct from the traditional mode of interview is that the questions asked at the interview vary, so that this mode of interview or behavioral interviews are expected to be more truthful in assessing a candidate’s skills and capability to hold a position. The basis for this assessment is to see how action at an earlier situation, would equate to future performance. A relatively new method of screening as compared to the earlier traditional type of interviews, this method requires a candidate or applicant to be more precise and clear, even providing tangible examples to support their answers. The interviewer knows well to base the questions that have answers which would reflect the qualities that the interviewer would like for his candidate to have. All the applicants are also to be evaluated based on the same behavioral criteria. One can learn a bit about behavioral interviews, by going through some sample questions. The questions are to cite an example of how the candidate reacted to change of priorities or it could be a role of an applicant in the success of a project or idea. A candidate is also asked to mention about the risks they have taken or about reaching a significant target. The questions asked also involve how to accomplish jobs that calls for original or artistic thinking or about setting up good connection with the colleagues. One is also asked to talk about the use of confrontation skills with examples supporting the idea. Understanding these questions, will definitely help one to assess how to prepare for a behavior based interview. What were the challenges that one faced and how did the candidate go on to rise above the circumstances? How did the applicant react or handle the disagreement at work? When was any instance, where the candidate put the needs of the others before oneself? Was there any instance where one crossed the expected deadline? What was the best contribution that one ever made while in the current position at Job? Preparing for these questions in advance could help the candidates to perform well at behavior based interviews, thus increasing the chance to land that perfect job. Let us also take a look on how to go about it. Most convenient and popular method used to answer questions at the behavior based interviews is the Star Format. The star format includes Situation, for example the candidate will have to describe some recent challenge, or situation in which one found themselves in. Following this, the person will have to focus on the task, as in what one expects to achieve from it. Then comes the action, or how the applicant reacted to the situation or even to have a look at the substitute options. Then Finally, comes the results, as in the outcome of the challenge or situation. The candidate will have to explain if the person was able to achieve one’s goals at the end of it. One can also state what one learned from it. The first thing to do before going in for a behavioral interview is to make a thorough study of the resume, so that one can answer accordingly to the questions asked. Evaluate the work experiences or qualifications and achievements and go on to provide specific answers to the questions. One thing however to take into account is that there is no specific wrong or right answer to any of the questions asked. What the interviewer is looking for is to find how the candidate reacted when in a specific circumstance, so that one could see if the skills or behavior demonstrated by the candidate is in any way a suitable fit for the job profile. One can take down notes or even write down some ten to twenty examples from one’s past experience, at studies, work, internship, community work, charity and so on. Then one can take the STAR approach to questions asked at the interview and base the answers on these experiences. If one is to take an example, if an applicant is asked to give a situation where one set a goal and achieved it? Taking the STAR approach, the candidate can go on to explain the situation about the role in the company and how they completed the expected job in the given time. While explaining the task, the applicant would have to stress on the difficulties involved, also would have to explain what the project or task as a whole is all about. Then, going on to discuss about the action taken by the applicant, one can explain in detail what one did or how they reacted to solve the issue on time. Then, finally stressing on the result, one can explain the positive outcome of the issue and also how one reduced the cost, by completing the project before time. The answer given in this manner will definitely help to impress the interviewer. What every recruiter needs to do is to pinpoint the skills or behavior that one would like for the candidate to exhibit, so that time would not be wasted on totally unrelated silly hypothetical questions. Once, the interviewer knows what to look for, they can frame the questions based on these expected answers that can reflect these characteristics on the candidate. Hence, based on these answers given, the recruiter can decide if the candidate is a good fit for the job profile. At the same time, some of the main characteristics that recruiters look for in their candidates include the ability to handle stress, adaptability to the situation, problem solving or analytical skills exhibited, attention to detail, client focus or customer orientation, good communication as well as creative skills and so on. The best fit candidate, as per the requirement of the interviewer, would also need to have decision making power, goal setting ability, initiative, integrity or honesty, interpersonal or leadership skills, planning, organization/ time management skills, teamwork, tenacity and resilience. In the meanwhile, it is a common belief that most recruiters prefer and opt for this type of interview, which is known as behavior based interview. One of the main reasons that the recruiter opts for this type of interview is that it is structured and very clear. At the same time, for the candidate, this could prove to be very challenging, as it could require them to come up with a very good answer to all the questions asked. This would also require them to assess each question very thoroughly, so that they would give the answers properly. Previous articleHow to Find and Contact Former Employees Easily?